Audi is recalling 850,000 diesels in a bid to lower emissions. The voluntary retrofit programme will start in the coming weeks and affect both Euro 5 and Euro 6 cars fitted with the V6 and V8 TDI engines. The diesel recall comes just a day after Mercedes-Benz announced a similar update for three million of its diesels. Like its German counterpart, the Mercedes-Benz recall is being labelled as voluntary and free of charge. In a statement, Audi says there will be no costs involved for owners and the retrofit programme will ‘counteract any possible bans on vehicles with diesel engines’. At this stage, it is not clear how this will happen, but one can assume that the software update will lower toxic nitrogen oxide (NOx) gases which are linked to a range of respiratory diseases, including cancer. It is understood that owners of affected Audis will be contacted by their local dealer to have the work done, with the update taking roughly an hour to complete. However, Audi hasn't said what impact the new software will have on performance or fuel economy. It has also said nothing about the warranty status of cars that do not have the retrofit programme carried out. 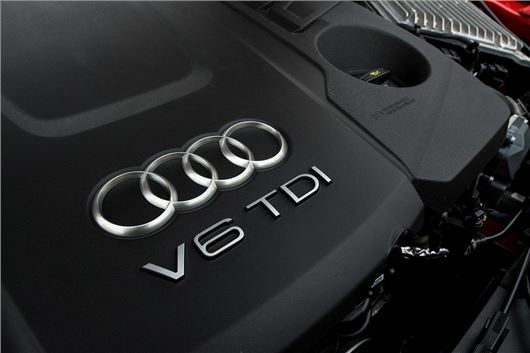 Given that the V6 and V8 TDI engines are used across both Audi and Volkswagen brands, it would seem inevitable that more recalls are on the way. However, when contacted by HonestJohn.co.uk, a Volkswagen spokesperson said he was unable to confirm or deny that it would be conducting similar updates to its Euro 5 and Euro 6 diesel cars and pick-ups. Will BMW be next then? Or are their diesel engines different?